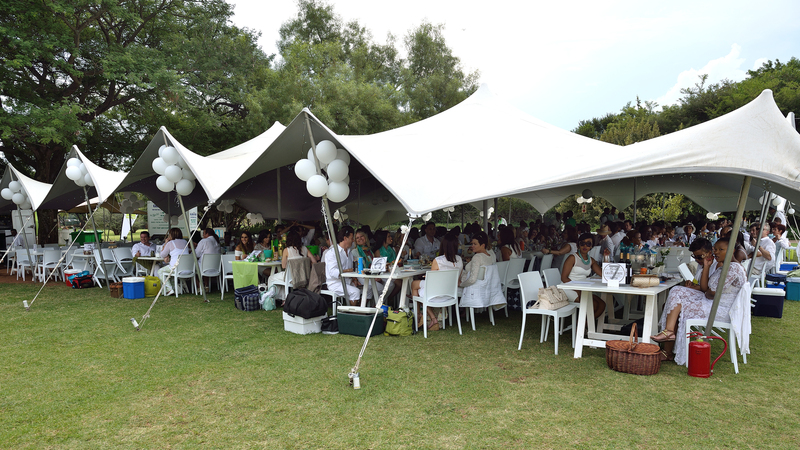 The Grand White Dinner came to Pretoria for the very first time in 2015 and part of the fun for guests was having to guess where the venue was going to be. Organisers kept them in their toes until a few hours before the feast began. It ended up being the hosted at the picturesque Pretoria Botanical Gardens. Here are a few highlights of how it all went down. You can still experience the Grand White Dinner if you missed this one, because it’s coming to Johannesburg on 18 April 2015 and then Durban on 25 April 2015.